The craftsmanship of Real-Fyre Designer Series Gas Logs captures the realism, texture and subtle nuances found in nature. These hand painted originals, modeled from real world samples, are sure to add a touch of elegance to any home. 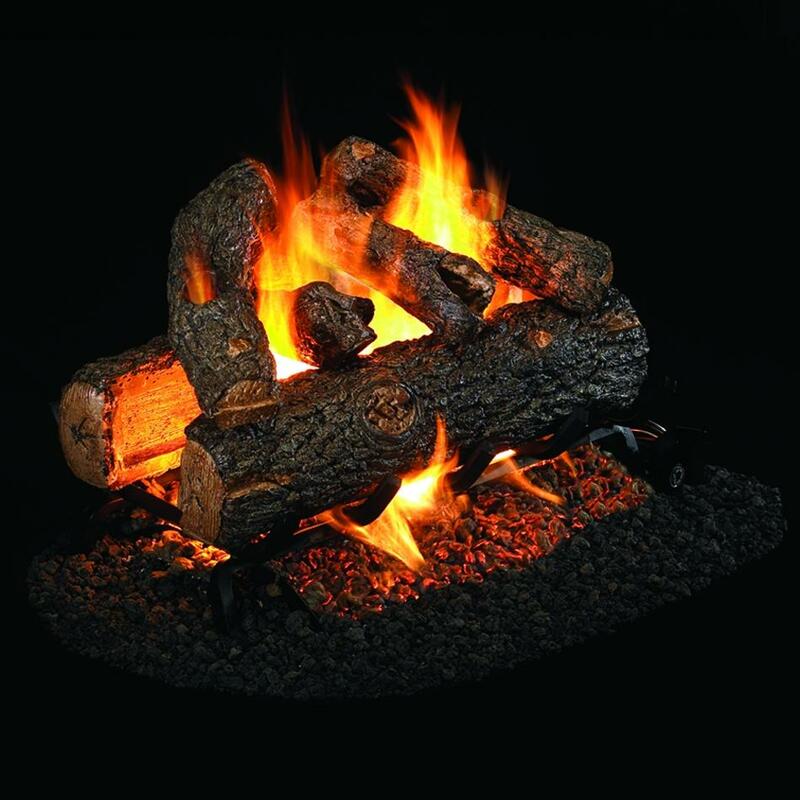 Experience the subtle beauty and soothing comfort of a Real-Fyre Designer Series gas log display. 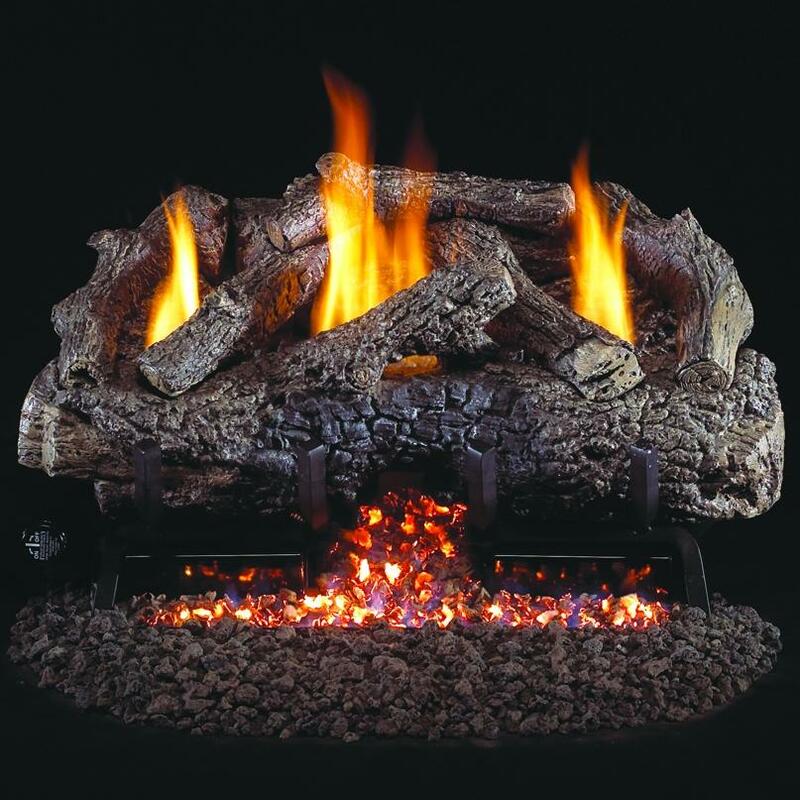 This Peterson Real Fyre gas log set includes: Ceramic Refractory Vented Gas Logs, Vented Stainless Steel Glowing Ember Burner, Custom Grate, Connector Kit, Glowing Embers, Sand, Burner Clips, and Damper Clamp. Burner Output: 150,000 BTUs. Burner ignition method: match light using your existing outdoor key valve – No valve is included with this set. Peterson Real-Fyre Gas Logs have withstood the test of time with traditional favorites, specialty sets like the Mammoth Pine, and by utilizing the most innovative technologies to help safeguard the environment. Their attention to log detail, log texture and flame presentation produce elegant displays that fill any room with comfort and beauty. 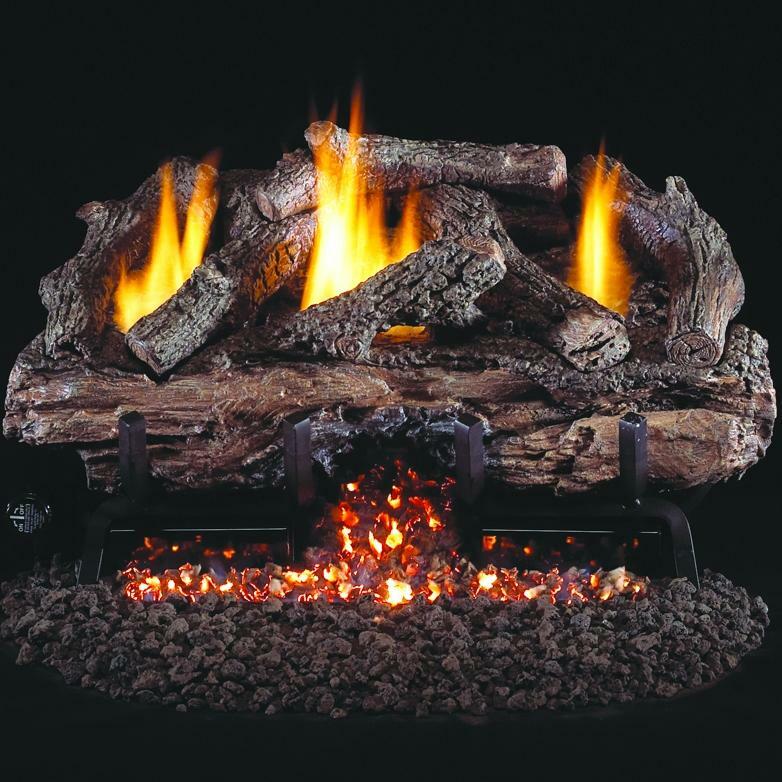 This Peterson Real Fyre gas log set includes: Specially Designed Massive Ceramic Refractory Vented Gas Logs, Vented EPIC Burner, Custom Grate, Connector Kit, Damper Clamp, Basic On/Off Remote Transmitter and Receiver. Burner Output: 215,000 BTUs. Burner ignition method: match light using your existing wall key valve – No valve is included with this set. The craftsmanship of Real-Fyre Designer Series Gas Logs captures the realism, texture and subtle nuances found in nature. These hand painted originals, modeled from real world samples, are sure to add a touch of elegance to any home. 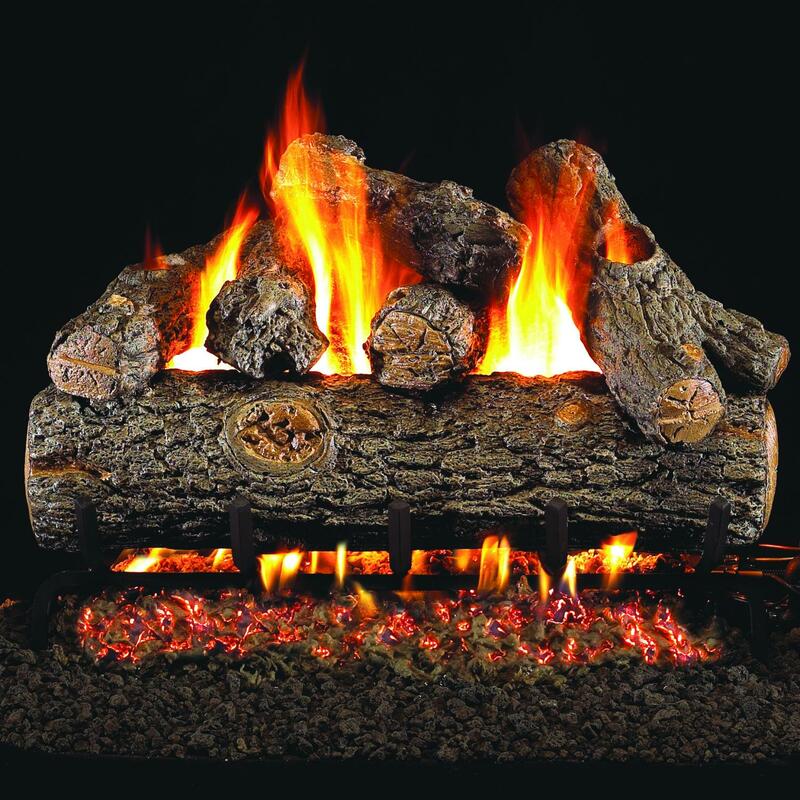 Experience the subtle beauty and soothing comfort of a Real-Fyre Designer Series gas log display. This Peterson Real Fyre gas log set includes: Ceramic Refractory Vented Gas Logs, Vented Stainless Steel Glowing Ember Burner, Custom Grate, Connector Kit, Glowing Embers, Granules, Burner Clips, and Damper Clamp. Burner Output: 115,000 BTUs. Burner ignition method: pre-installed manual safety pilot. The craftsmanship of Real-Fyre Designer Series Gas Logs captures the realism, texture and subtle nuances found in nature. These hand painted originals, modeled from real world samples, are sure to add a touch of elegance to any home. 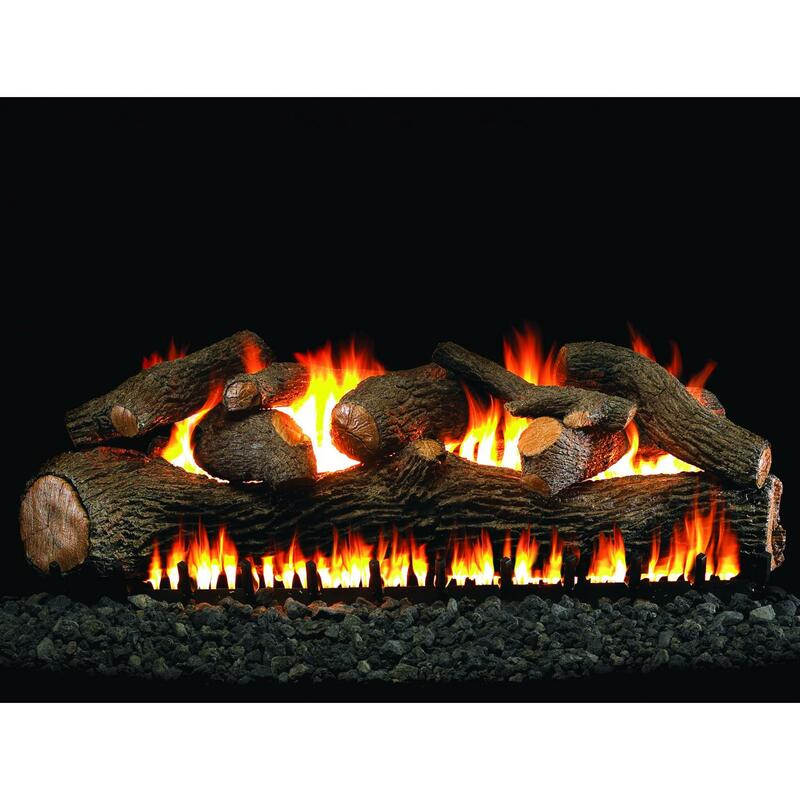 Experience the subtle beauty and soothing comfort of a Real-Fyre Designer Series gas log display. This Peterson Real Fyre gas log set includes: Ceramic Refractory Vented Gas Logs, Vented Stainless Steel Glowing Ember Burner, Custom Grate, Connector Kit, Glowing Embers, Granules, Burner Clips, and Damper Clamp. Burner Output: 130,000 BTUs. Burner ignition method: pre-installed manual safety pilot.